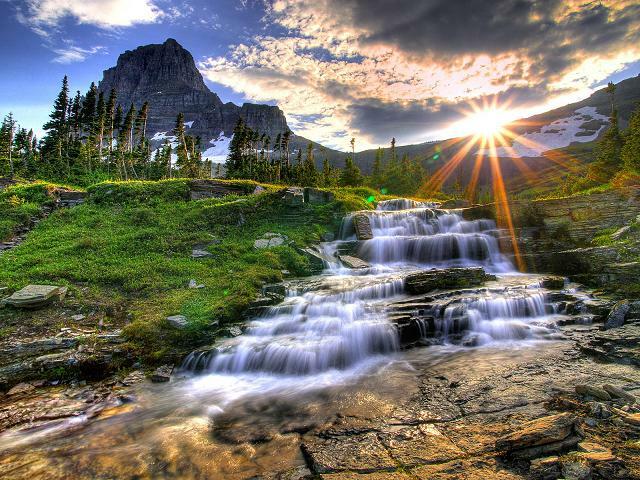 Above: Montana National Parks - A waterfall at sunset in Glacier National Park. 1. Montana's official state flower is the Bitterroot. 2. Montana's official state tree is the Ponderosa Pine. 3. Montana's official state bird is the Western Meadowlark. 4. 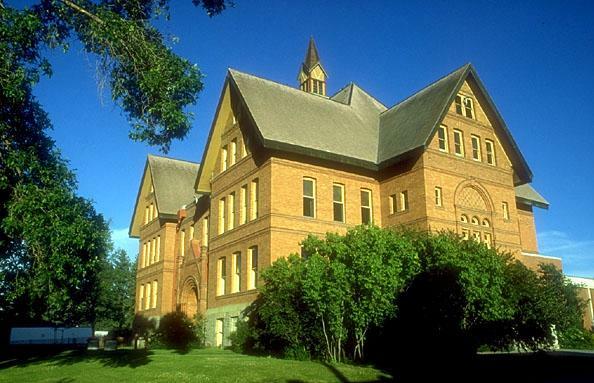 Montana has three universities occupying numerous campus locations throughout the state. 5. Montana has seven Indian Reservations: Blackfeet, Crow, Flathead, Fort Peck, Fort Belknap, Northern Cheyenne, and Rocky Boys. 6. Native American Indian Tribes of Montana include the Assiniboine, Atsina, Blackfoot, Cheyenne, Chippewa, Cree, Crow, Gros Ventre, Kalispel, Kootenai, Little Shell, Pend d'Oreille, Salish, and Lakota (Sioux). 7. Montana is divided into six geographical regions: Glacier Country, Russel Country, Missouri Country, Goldwest Country, Yellowstone Country, and Custer Country. 8. The five largest cities in Montana (by population size) are Billings, Missoula, Great Falls, Bozeman and Butte, in that order. 9. Billings is the only city in Montana with a population that exceeds 100,000. 10. The state of Montana has 44 State Parks and one National Park. 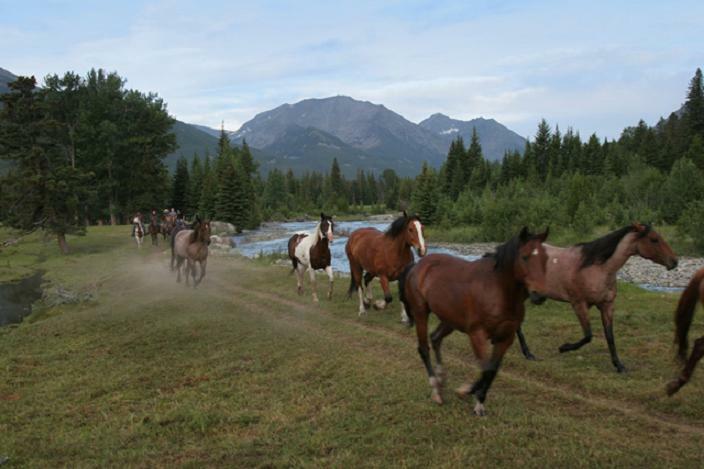 Above: Wild horses run along the bank of a stream on Sweet Grass Ranch. Here is a list of the eight colleges and universities located in the state of Montana. Above: A campus building at Montana State University. Below: A view of the Crow Indian Reservation in Southeastern Montana. 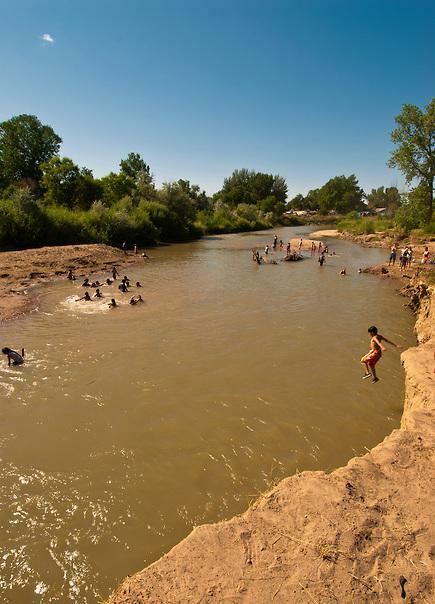 Above: A group of Crow Indians take a cool, refreshing splash in the Little Bighorn River. 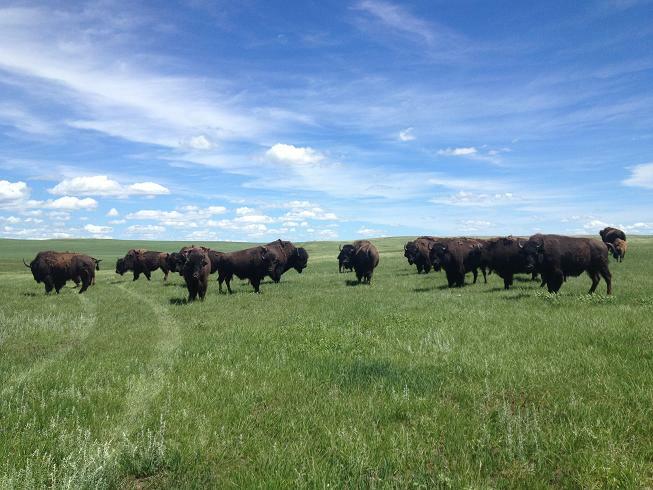 Above: A herd of bison at the Fort Peck Indian Reservation. 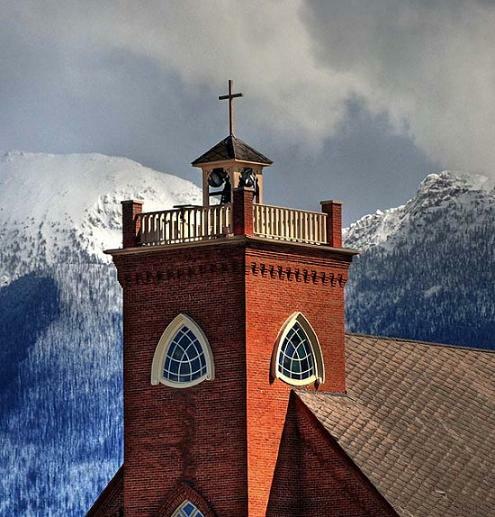 Above: St. Ignatius Mission on the Flathead Reservation. 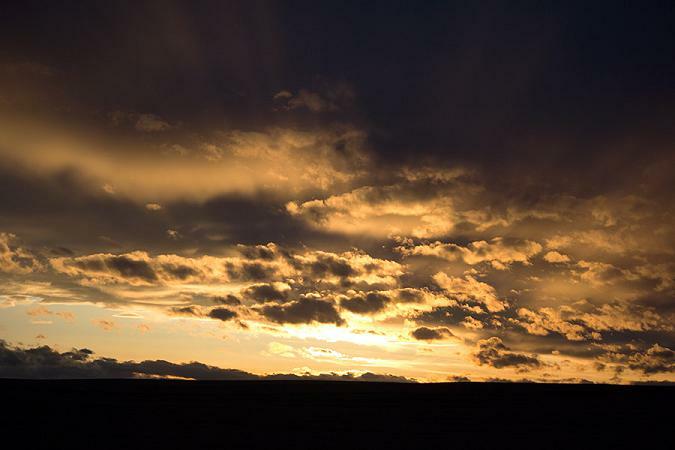 Above: Sun setting over Fort Belknap. The only Montana National Parks are Glacier National Park and a northwestern portion of Yellowstone National Park. 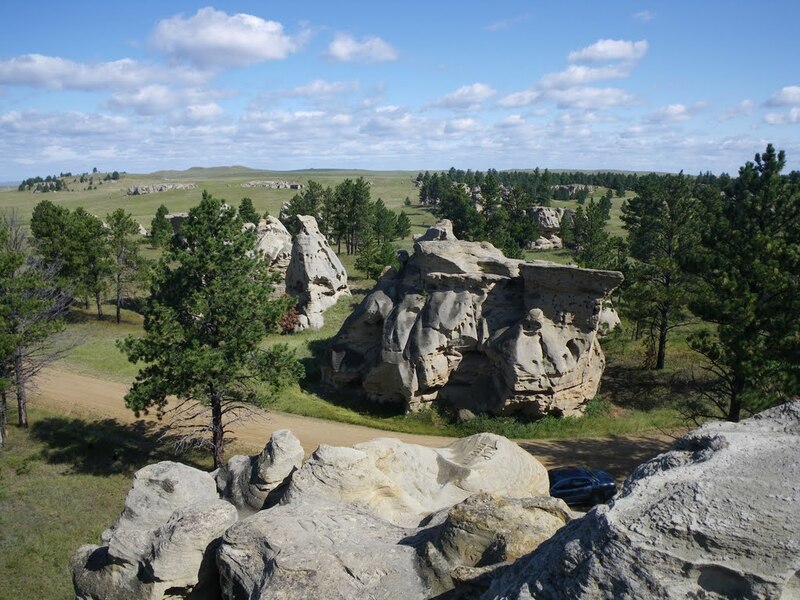 However, the state of Montana is also home to 44 State Parks. Image Galleries from All 50 States. Work From Home in Montana, or anywhere else in America. Universities and PhD Programs in Montana and all over America. 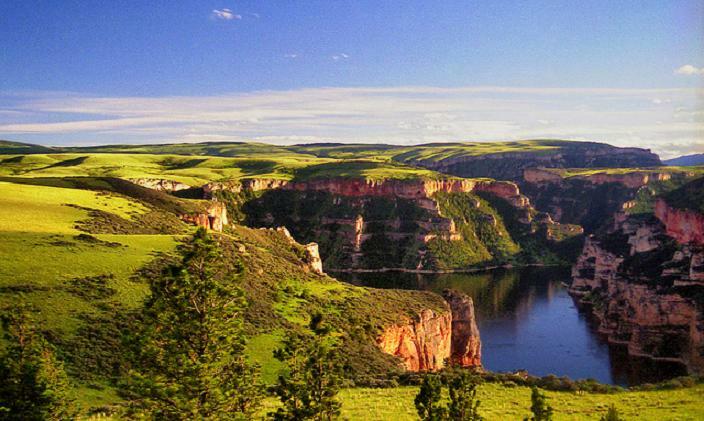 ﻿Affordable Travel to Montana National Parks and all 50 states. Factory Outlet Malls in All 50 States.